Disney introduced a new dining experience for this year's Star Wars Weekends at Hollywood Studios. 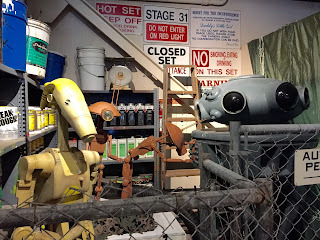 They took half of the Backlot Express and turned it into the "Rebel Hangar." It is decorated with all kinds of Star Wars themed props, posters, and figurines. 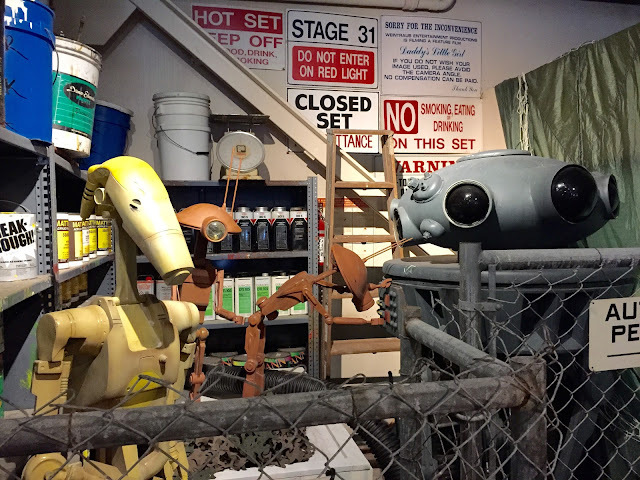 This caged-in storage area has life-size droids. Guests who are eating at this restaurant during the week can enjoy the Star Wars theming without reservations.